"A mother is not defined by the number of children you can see, but by the love she holds in her heart." At the same time, a day like today feels like an acknowledgement. A sense of you are not alone. A me, too. A breath before the onslaught of Mother's Day, with all the flowers and cards and commercials and preachers who will ask the mom with the most kids to please stand up. A day that will, forever, be bitter and sweet all at once. Pray for us. I will pray for you. 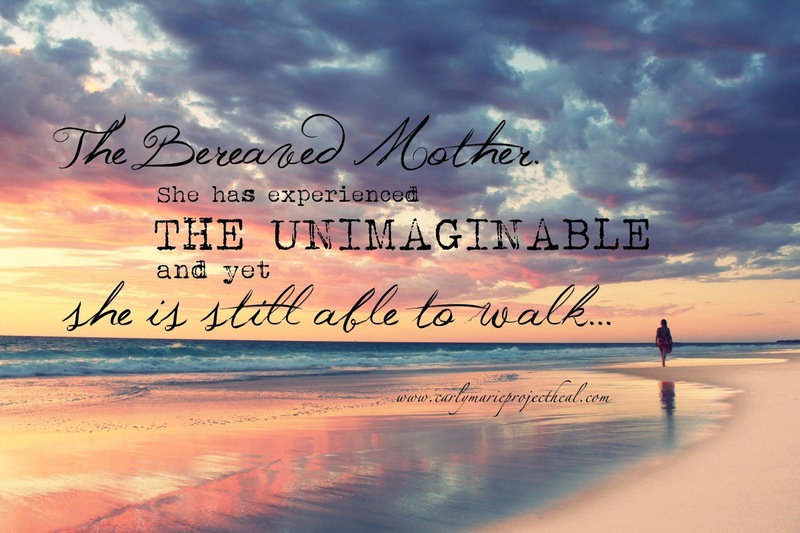 For you moms (and dads) who have lost babies, lost children at any age. For you who long for children. For all of us who wait for fertility or adoption or even the peace that comes with knowing the direction God wants us to go. If you visit the links page, you will find resources for dealing with infant loss.